Who Will Sign With My Deaf Child? 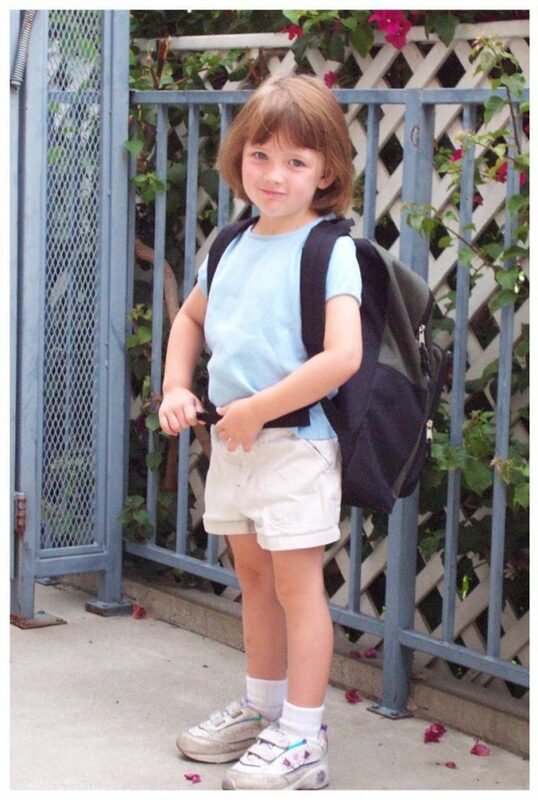 The first day of preschool, Leah was fearless. I was not. I wanted Leah to be safe. I wanted Leah to fit in. I wanted Leah to enjoy the journey and discover things that she’s passionate about. Mostly, I wanted it to go well. I was aware of how differently Leah was viewed in our neighborhood and community. As parents, we didn’t view deafness as a disability, it was a communication issue, she just “spoke” a different language. I never expected to give birth to someone who had a different native language than I, but it happens. That’s deafness. Leah waited for the bus and I wondered if I was a bad parent, allowing my deaf three-year-old to ride a Los Angeles School District bus. I was able to set those fears aside knowing that her preschool experience was more important than most. Leah was going to preschool, specifically to exist within, and experience the least restrictive language environment. While she was not aware of it as she boarded the bus, she was going to a place where her native language would be modeled for her in a way that was not anything we were able to duplicate at home. I explained that having one fluent singer in the class was an incomplete language model for the deaf students. Much like the “sound” of one hand clapping. (There is no sound.) The children needed two signers to have the opportunity to “overhear” conversations. Two signers provide access to the much needed incidental language which is required to fully understand, and naturally acquire their first language, a visual language, American Sign Language. The district employees were not happy with this news. No matter. We knew that their standard educational offering for deaf children was lacking in many ways. 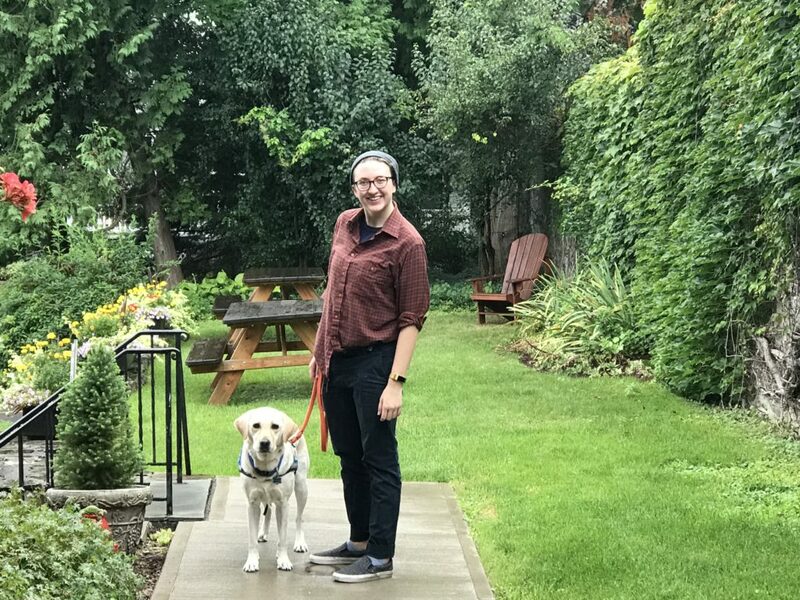 They promised (statistically) that Leah would graduate from their high school with a third grade reading level… So, when looking at preschools for our deaf child, we also looked at the 3rd grade classrooms and the 6th grade classrooms. We wanted to see what the future held for our child in their educational environment in the years ahead. As a preschooler, Leah’s language was already on par with each school’s deaf third grade class of students. We knew we couldn’t put our three-year-old in a class with eight-year-olds. So began a lifetime of trying to find an appropriate educational setting, as well as appropriate peers for our deaf child. ASL is a full and complete language. ASL is a visual language. This was clear and simple to us, but the district representatives were stumped by this logic. We didn’t have a good answer. They were trying to say that American Sign Language would only isolate Leah. Leah was born to hearing parents, as are 92% of deaf children. As hearing parents, we lived, socialized and operated within a hearing community. The question went unanswered. The documents were already signed. To meet the conditions in her IEP, Leah was assigned a one-on-one aide who was deaf. Since Leah’s teacher was deaf, she had two fluent signers in the classroom! We believed that this model would not only benefit our child, but it would benefit every child in that preschool class. 2018 – Leah is now age 21. My feelings that surrounded Leah’s first day of preschool and most recently, the first day of Leah’s senior year of college, are surprisingly similar. Leah is still fearless. I am still not. I want Leah to be safe. I want Leah to fit in. I want Leah to enjoy the journey and discover things that she’s passionate about. I still want it to go well. Leah is one of 2000 deaf students who attend the National Technical School for the Deaf (NTID) at the Rochester Institute of Technology (RIT). Leah chose this college over our local colleges specifically to exist within, and experience the least restrictive language environment while in college. The campus, dorms, and classrooms are set up for deaf students. Deaf students have access, no matter their communication method and no matter the technological tools they choose to use, or choose not to use, as the case may be. In Leah’s dorm, the doorbell makes a light flash. In Leah’s classes, interpreters, live captioning, and downloadable notes are provided. There are mental health professionals on campus who sign! <– so hard to find. Freshman year, Leah’s cochlear implant was lost – L O S T – the insurance replacement process took months, but because Leah has access to more than one language and doesn’t have to rely on the CI, and the school provides access for deaf students who sign, speak, or cue… losing her implant caused no problem! College has also provided something we were unable to provide our deaf child. Leah has developed a strong deaf identity. Leah’s ASL skills have reached new levels. Leah has been immersed in a community of signing and non-signing peers and has made lasting friendships and memories and experiences. Leah is a Resident Assistant (RA) again this year and in that position, Leah helps new students feel welcome and safe at their new home away from home. Sometimes I wonder if our house now feels like Leah’s home away from home. That doesn’t even make me sad. It makes me happy. If Leah feels at home, in many different environments, to me that’s a win! I’ve been thinking back to the days just prior to preschool. Back when we had no way of knowing where our journey would take us. All we had was a belief that with ASL we were making the best possible choice for our child. Sometimes, that’s all you’ve got, belief and hope. “Hundreds of thousands of people around the world will sign with Leah Coleman. Within just a few years… many more parents will find the courage to sign with their own deaf children because today we are ‘demanding’ that Leah have full access to American Sign Language. Today doesn’t only impact Leah and nine other students in one preschool class… today we begin down a path that can alter the world. Hundreds of thousands of people around the world.